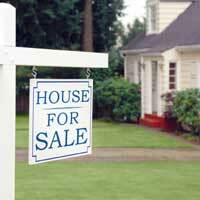 Do you have plans for Selling Property in Agra, Delhi, or NCR? If your answer is yes, then this is the perfect destination for you. The company is a well-established Real Estate Consultant in Agra. Property Buyers and Investors from all parts of the world contact us on regular basis with their queries regarding Properties on Sale in Agra. Moreover, the company maintains a databank of Real Estate Investors in Agra, New Delhi, and NCR. The company is in a position to get any type of property sold at the best price in the minimum time possible. We also promote the Property on Sale offer of the client in the Real Estate Market to increase the number of interested parties and consequently the price of the property. We also offer assistance in completing the legal formalities of Selling Property. We charge nominally for our Selling Property Services.